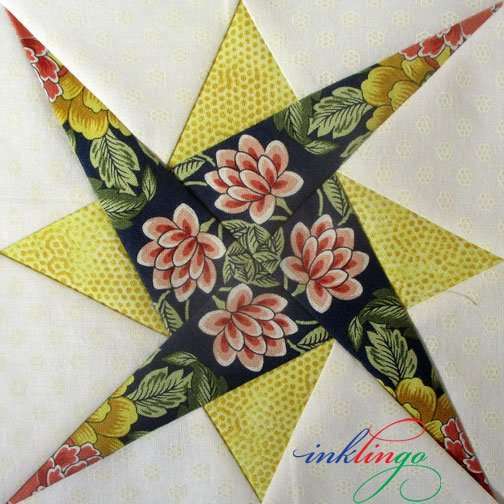 I’ve been sharing photos of my Starry Path blocks on Facebook and Instagram for the past week or so. 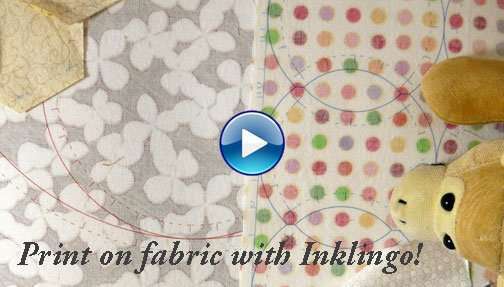 These are really fun and easy to sew when you have the shapes printed on fabric with Inklingo! 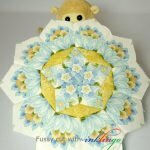 The shapes are ready, so you can start sewing them now too. Starry Path 6 inch Only $20 for a limited time! There is a complete description on the website but here are some of the highlights. 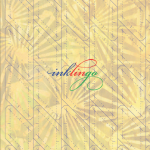 As usual, the Inklingo Starry Path shape collection includes layouts to print on fabric (above) or on paper or freezer paper, just in case you need templates. 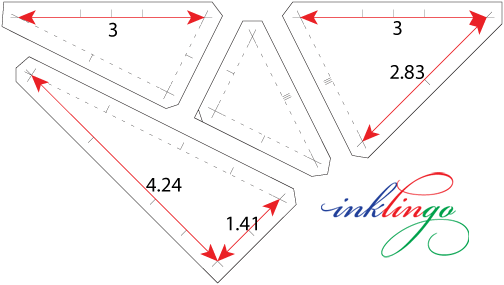 There are sewing and pressing instructions in the shape collection, so you can get precise results. Shapes with and without seam allowances are included PLUS the mirror image, so you have even more design options. 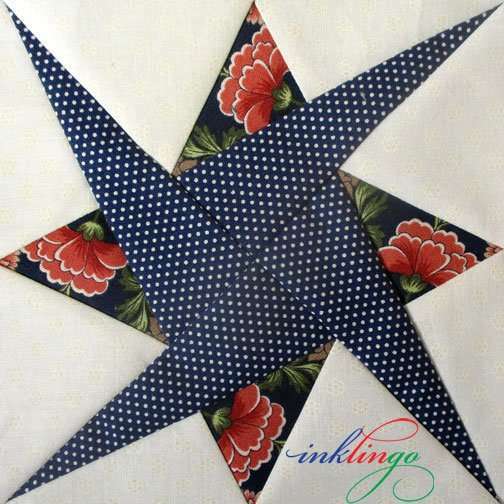 These simple stars are perfect for fussy cutting. 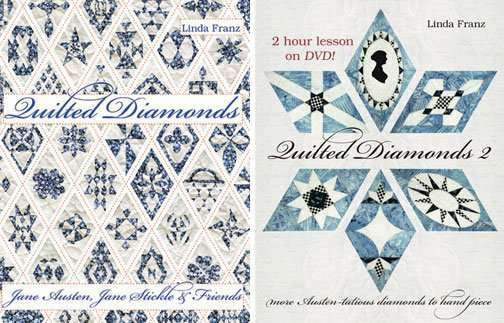 There are more examples in the shape collection. 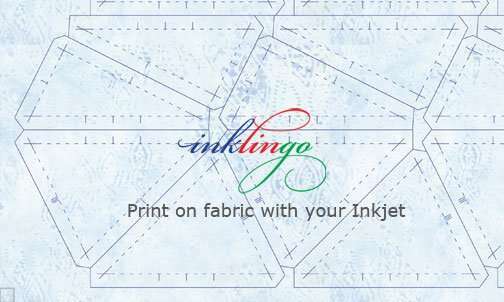 Thanks to Inklingo’s correct grain, precise cutting lines, matching marks, crosshairs, and precision corners, it is easier than ever to cut and sew these stars. 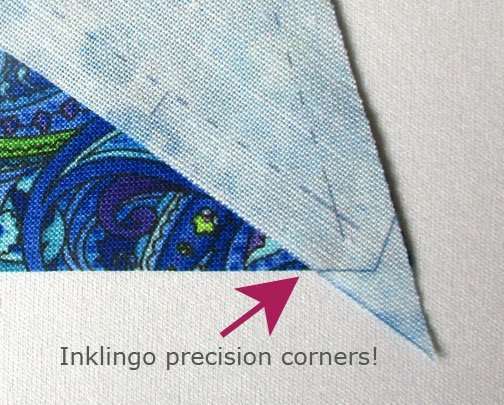 When you are ready to start printing on fabric, I always recommend starting with the FREE Diamond Triangle Square shape collection because it includes the first chapter of The Inklingo Handbook and some great shapes to print on fabric. All you need to get started is a computer (Windows or Mac), Adobe Reader (free), and an Inkjet printer—and some fabric and freezer paper, of course! 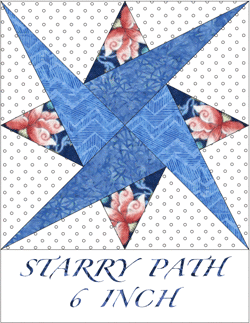 If you are interested in Starry Path in more sizes, please let me know. I want to know what you would like to see next! 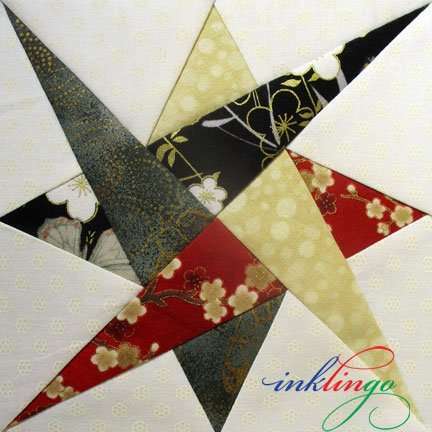 Thank you to all of the quilters who requested Inklingo shapes for Starry Path. It was a great suggestion. 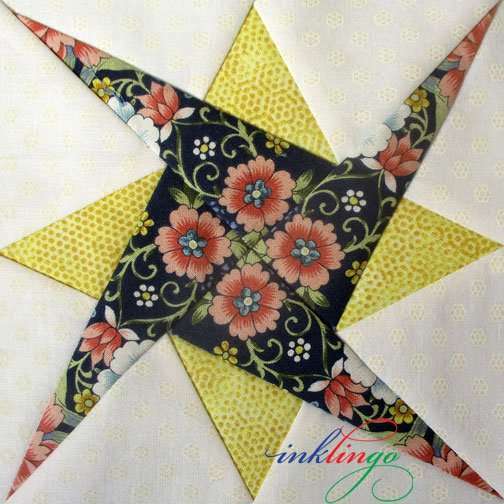 Just taking a few minutes to tell you that I will try to post photos of the starry shape quilt that I am planning. I broke my digital camera last month and I am now trying to learn to transfer pictures from the I-Phone to the computer. Wish me luck lol! I do wish you luck, Louise. I would love to see photos! I’m back, just purchased the new shapes. I had a quick look at the shapes. the thing I like the most is that you have included the Mirror Images of the shapes. 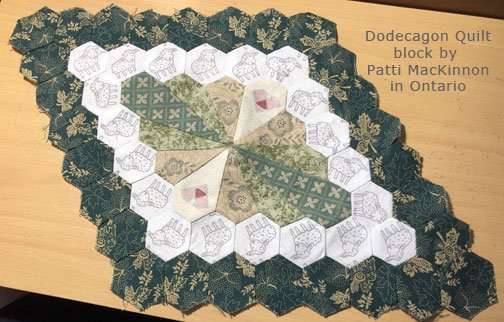 That in itself is worth so much to a quilter. 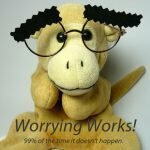 It makes life so much easier for us, to have this on hand right away. No fuss, not math, like you always say and this is so true. Thank you so much for this new shape collection. I am already going true my fabrics in my head to see what I will use to make this quilt. Thank you very much for your order! I think you will love playing with these stars. 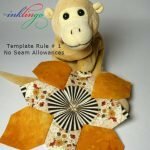 They are easy to sew and there are many ways to set them. I would love to see photos of your stars! Loooooove this new shape! Looks so great and easy to make. I am going to go and buy this right now. Is it possible to have it done at 8″? Hi Stacey, I have had a few requests for 8 and 9 inch. I might do both. Which would you prefer?